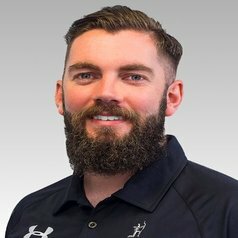 Michael is an Associate Tutor in the Cardiff School of Sport & Health Sciences (CSSHS) at Cardiff Metropolitan University, currently teaching in Sports Performance Analysis, Sports Coaching and Performance Sport. After completing an undergraduate degree in Sports Coaching, Michael progressed through his MSc in Sports Performance Analysis and is currently completing a Doctorate in Sports Coaching (DSC). An LTA Level 4 Senior Performance Coach, Michael has worked in tennis for a number of years and currently coaches for Cardiff Met Tennis Academy and is coach of the University's 2nd/3rd teams.